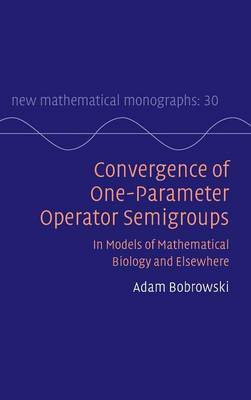 This book presents a detailed and contemporary account of the classical theory of convergence of semigroups and its more recent development treating the case where the limit semigroup, in contrast to the approximating semigroups, acts merely on a subspace of the original Banach space (this is the case, for example, with singular perturbations). The author demonstrates the far-reaching applications of this theory using real examples from various branches of pure and applied mathematics, with a particular emphasis on mathematical biology. The book may serve as a useful reference, containing a significant number of new results ranging from the analysis of fish populations to signaling pathways in living cells. It comprises many short chapters, which allows readers to pick and choose those topics most relevant to them, and it contains 160 end-of-chapter exercises so that readers can test their understanding of the material as they go along.